Work step-by-step. Place. Create trajectories. Add animations. Simulate. Retake if needed. Render. Each step is pretty independent from others and can be modified without restarting from scratch. E.g. changing inital character placement takes only 2 clicks. 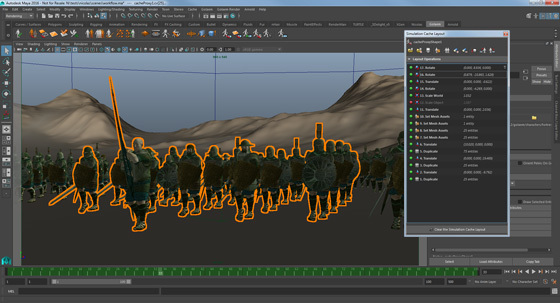 Open your characters in Maya and load them in the Golaem Asset Manager. Create rules for props repartition. 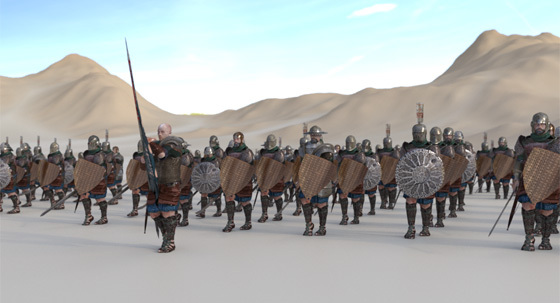 Load motions and make them loop thanks to an automatic blending algorithm. Golaem provides several placement methods so that you can always find one fitting your use-case. Simply drag and drop a built-in behavior to have your characters finding their way in the scene, avoiding other characters and obstacles. Another one will make them blend input motions to deliver the perfect locomotion. Need and explosion? Choose a way to trigger it (zone, time, painted color...) and add a few more behaviors. Done! 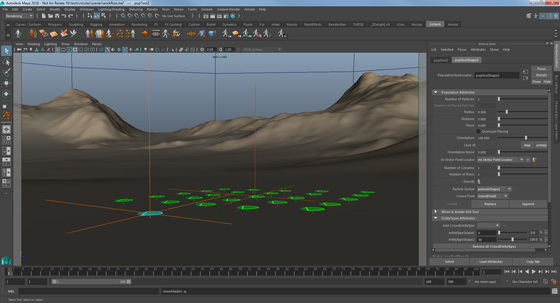 Get instant feedback thanks to the skinned mesh previsualization in the Maya viewport. No need to wait until render to validate a setup, Golaem users just need a playblast. Golaem simulation is stored in lightweight caches, storing only the position and animation of each characters, not their full geometry. The whole process is fast and avoid cluttering your network and storage. Once cached, the simulation can be replayed by scrubbing the timeline and modified thanks to the Simulation Layout tool. What if the director does not like a character outfit? 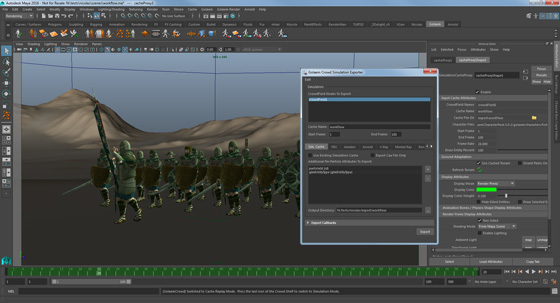 Select characters, open the Asset Palette and just modify it! Easily modify results without having to go back to simulation. 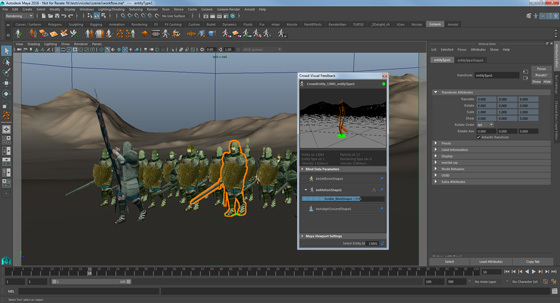 If you are happy with your simulation but just want to change a few details, you can just select a few characters, and move them using the Maya tools or have an animator enhance their animation. 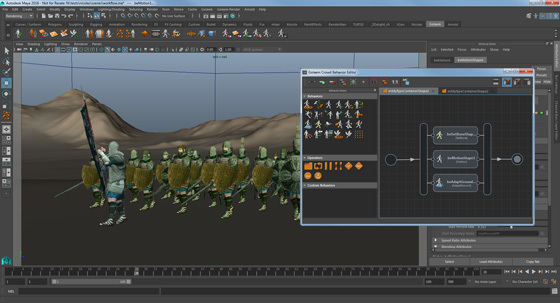 Stay in Maya, or use one of our other rendering integration. 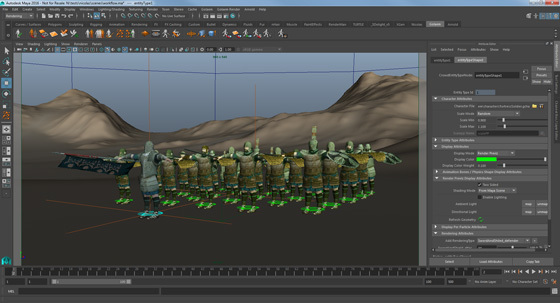 Golaem characters work like one or more proxy / stand-in, keeping your scenes very light. Thanks to procedural rendering, the whole geometry is generated directly in the renderer memory. Golaem can also filter it to avoid loading unnecessary characters.